Besides the fact that it is just … odd … it’s also increasingly impractical. Like not having a car to extend the range within which you can work, not having an online presence is limiting the number of times you’re going to be accepted for a job. When nary the geek could get online and “do” HTML to make a web page, online presence needn’t apply to everyone. When Geocities made What You See Is What You Get (sort of…) web page designers or when Blogger launched – you still didn’t need an online presence because back then being online was just that: being online. Since the rise of social media and now social networking it has become: being online. Back in the day” we used nicknames. Remember? 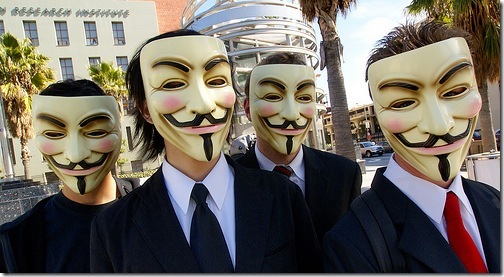 Online was dangerous and you needed to remain somewhat anonymous. So when Jane would join a fishing board she would be “flylady18” or when John would sign into his parenting forum he’d be “DaDude” or something. What we experience now is that by being online as ourselves, we have no privacy. The lady going to the beach while “sick” is spotted via Facebook and fired. The disgruntled employee airing via Twitter has made a company enemy for life. So the next wave will be regular people maintaining multiple social networking accounts; one under their own real name and at least one other under an assumed name. These nickname profiles will enable people to be themselves online without fear. To vent. To talk about books, songs, movies, artists, that are otherwise just “not done”. They’ll allow people to be on vacation, post to their close friends and relatives and not have the boss expect them to therefore be in reach of the telephone and thus work. Should Employers Be Forbidden to Facebook You? i used a nickname first.. because i was going into undercover law enforcement.. up until 2 years ago i didnt use my real name and did negative seo on my real name… now.. my real name is my work “persona” and my nickname is my after hours weekend, personal “persona”.. i still don’t swear, drink, or take pictures with naked women on either profile.. but i did delete my myspace profile a few years back for those very reasons.. Interesting, especially the negative SEO on your real name. Thanks for sharing! Interesting topic for sure. I have been using a nom de plume for years (1997) I thought that was normal because of privacy issues. Now, it’s almost imperative to use your real name if you do work online. I have never been much of a “corporate” person and at this stage of my life I doubt I will change. Therefore, when I read about employers reading or looking for information online about a potential employee or full time employee I find it intrusive, unacceptable and unnecessary. Actually scary to think how many things they already ask. From credit history, to taking a “drug” test. Bahhh not my cup of tea, you can keep it thank you! So you too keep maintaining at least one different persona to be able to do or say things out of the limelight. Do you find it hard to do so? Interesting post Ruud, and I think you’re right in your observation / prediction. I have done this on Facebook but found managing many accounts confusing so I downsized from three accounts (professional, social, personal) to two (professional & social/personal) and just use more filters now. Seriously considering doing it on Twitter as well.